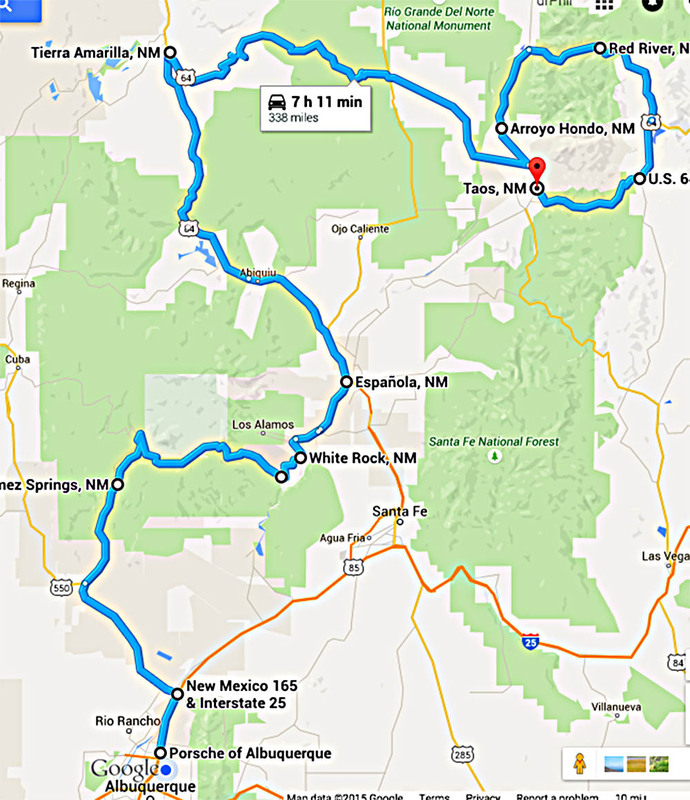 The club weekend drive out to Taos was July 25 and 26, and revisited some of the great roads making this year’s Fiesta in Taos so wonderful. Leaving Albuquerque early Saturday morning 13 cars headed north into beautiful New Mexico weather. The weather held clear and hot throughout the day as the group wound its way past the Valles Caldera to Espanola where we enjoyed an early lunch at El Paragua. What great food, and excellent service! The afternoon was highlighted by the fantastic—and almost empty—drive on Highway 64 between Tierra Amarilla and Tres Piedres. While some of the group headed to the hotel in Taos, a smaller group of six cars enjoyed the Enchanted Circle loop, with a short stop at the Vietnam Veterans Memorial State Park near Angel Fire before joining the others at the El Pueblo Lodge. The group was unusually boisterous while dining at the Gorge Bar and Grille, who hosted us in a private room, which was very much appreciated. 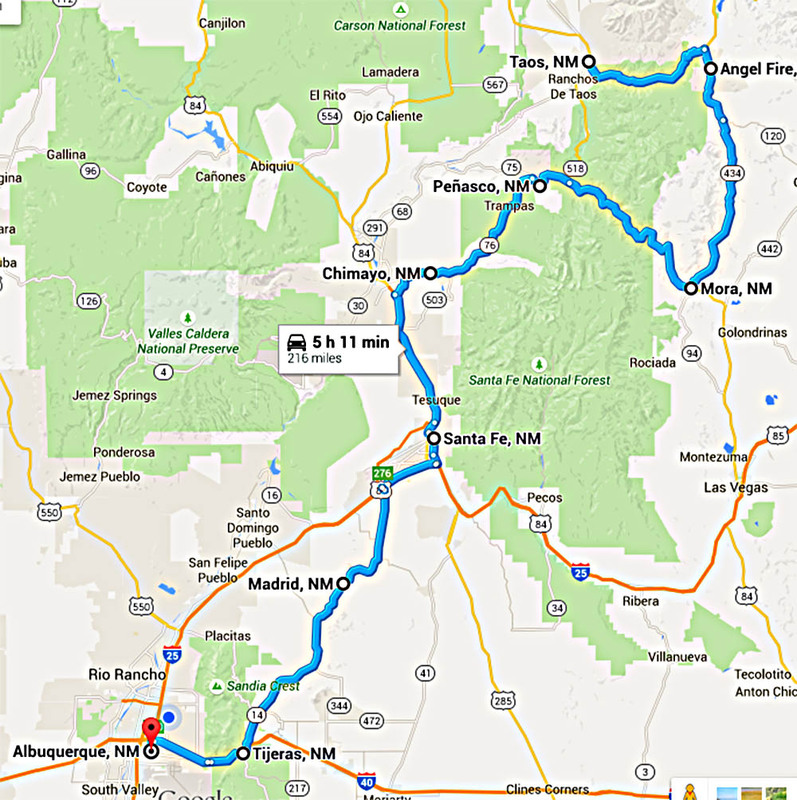 The food was excellent, and capped a long, but very enjoyable day on the wonderful roads of northern New Mexico. A mid-morning start allowed those averse to clear sunlight some more time in bed, and after breakfast the group hit the roads east of Taos. Driving through Angel Fire and then taking the gem of a Porsche road—Highway 434—there was some traffic to contend with, but otherwise beautiful high country scenery and enough corners to stay focused on the main task. A few brief thundershowers didn’t dampen anyone’s enthusiasm, and speeds adjusted to the conditions without a second thought. Despite their incredible dry weather performance, Porsches prove to be wonderful, and safe, cars in all weather conditions. Once the High Road from Taos was completed, some members of the group headed straight home from Pojoaque while others stopped at Gabrielle’s for some tableside-prepared guacamole and fine New Mexican food. Fine weather, great roads, and wonderful people combined to make this another memorable overnighter for the Club. 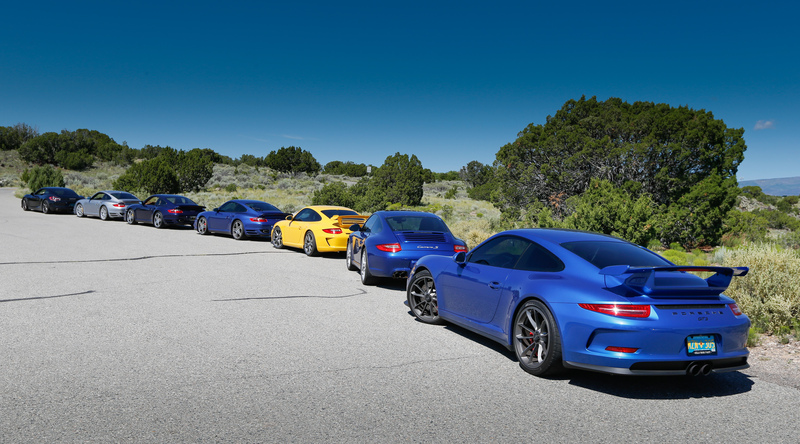 There will always be more roads to drive, and more destinations to visit as we enjoy our cars and our Club friends. The route for the drive out is below.